Hostas don't require a lot of pampering. That being said, they do require some special care initially - when planting and at various times throughout the year. Just like any other valued perennial in your garden, you don’t simply toss them in the ground and forget about them. If you want a beautiful, healthy garden, you must be willing to do the work… or have the budget to hire someone else to do the work. But what fun would that be, right? My garden rule #2 - “get your hands dirty”. You’ll never bond with your garden or even know what’s going on out there unless you’re personally invested. You don’t have to be a fanatic, or a geek (can’t hurt), just spend a little time learning about your hostas and providing their basic needs - they’ll make you happy all season long. If you’re reading this far, you probably have a basic understanding of gardening. The general rules of gardening apply to hostas as well, but there are a few special things you can do to make sure your hostas thrive and achieve their deserved greatness. Soil and drainage go hand in hand. There’s nothing you can do to make up for poor soil preparation. 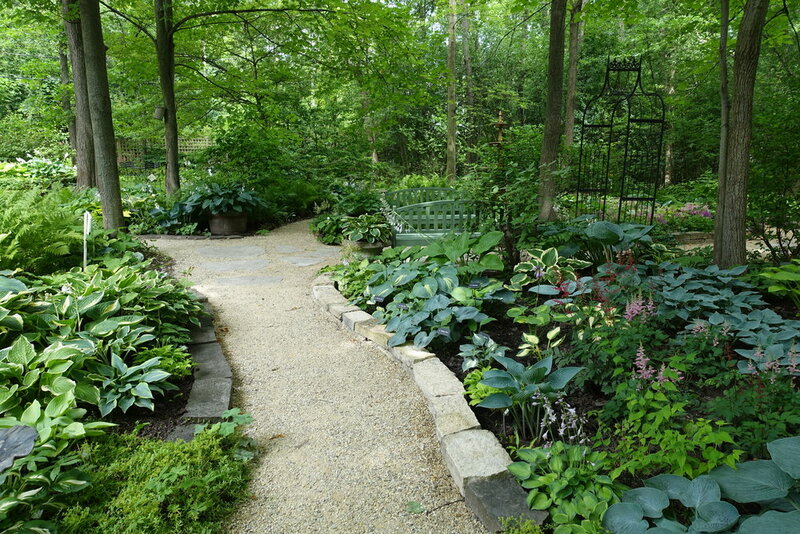 Hostas thrive in a rich, organic, well aerated soil. The larger hostas can grow just fine in our midwest clay soils, once they’re established - but they can take years to get established. Keep in mind that hosta roots spread out to the edge of the leaf mound, so take note of the specific hosta you just bought - how big will it get - and prepare an area appropriately. That means dig a hole the right size for the plant, add organic material (compost, peat moss, aged manure) and grit for drainage (sand or soil conditioner). Clay reverts to clay, so keep amending your soil. The ideal pH for hostas is 6.0-6.5. Adding peat moss will generally increase the acidity of our midwest soil, which is about 7.0. Appropriate sun/shade - One of the most common things people say to me when they find out I grow hostas goes something like this, “Oh yah, they’re a shade plant, right? I have a shady spot where nothing will grow. I should plant some hostas there!” PLEASE don’t do that. If nothing will grow there, chances are nothing will grow there! Many people think hostas are shade lovers. They’re really “shade tolerant” and some need more sun and will grow better in more sun, provided they have adequate moisture at their roots. As a general rule, hostas with blue or blue-green leaves and hostas with white margins do best in some shade. Hostas that are green, chartreuse or yellow perform better with more sun. Now I’m not talking about FULL SUN. Nor am I talking about really dense shade. Please don’t abuse your hostas by planting them “where nothing else will grow”. Water - Did you know that hostas are native to the Far East - Japan, Korea, China - environments that receive an average rainfall of 70 inches per year? These babies are water hogs. They need good drainage and lots of water at their roots. Which is why it’s better to water them from below, not on the leaves (yes, we all do that). Drip lines are good and watering in the morning is the best time. Water left on the leaves overnight encourages fungal infections, rotting, and attracts slugs. Food - Hostas are heavy feeders. What - you didn’t think you had to feed your plants?? When they first pop out of the ground in the spring, feed them a basic 10-10-10 (NOT timed release - they need that initial energy boost). Then repeat again in a few weeks. After that you can use a timed release fertilizer that will last them through the summer. Pest Prevention - I don’t know where you live, but I’m just going to mention the top two problems I have in my area - slugs and deer. If your hostas are pitted with small holes by July, you probably have slugs. This won’t kill your plants but they’ll look awful for the rest of the season. There are many things that people use to get rid of slugs, from putting out beer in shallow pans to rims of copper wire around your plants. I have more than 500 hostas - and a day job - some of those things just aren’t feasible for me. 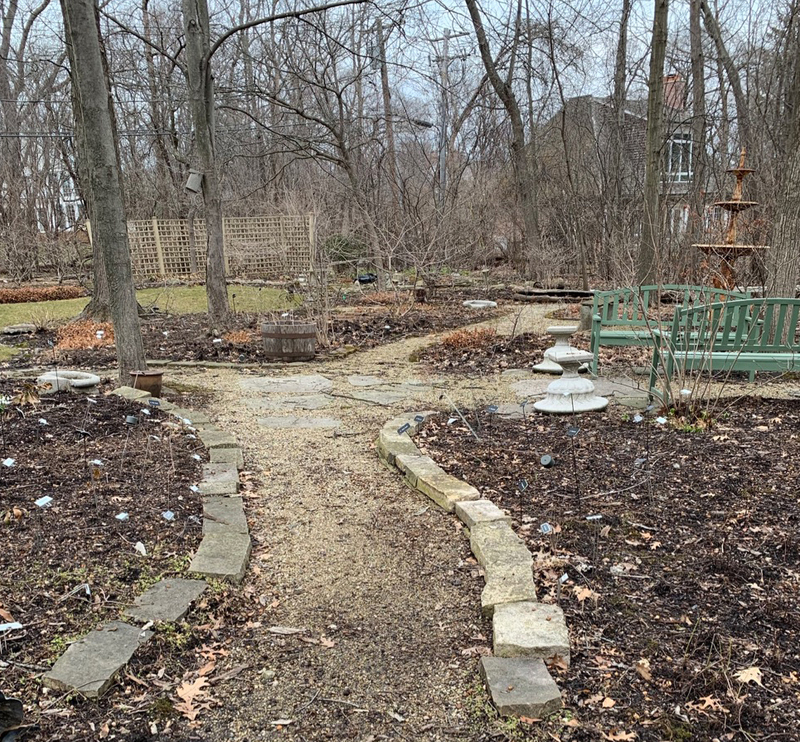 I use slug pellets (yes, environmentally approved and safe for animals), starting early in the spring as soon as the plants break ground and continue to be aggressive throughout the season. But you do what you want. By the way, raccoons love beer - just sayin. Deer - I love deer, don’t get me wrong. I feed them apples and pears in the winter. But when garden season comes, I’d rather they feed in the woods where there’s lots of good stuff for them to eat. There are many good deer prevention products out there too. I use something called “Liquid Fence”. It will last a couple of weeks, even in the rain, it smells AWFUL, but the smell dissipates after a day or two so we humans can’t smell it but the deer can. You must be vigilant about this! The deer love the tender new leaves and the hosta flowers are irresistible to them. Come late September, I turn the garden over to the deer and let them start on my winter cleanup! Keep your garden clean - One of the best things you can do to help prevent any sort of disease or pests is to keep your garden clean. Slug eggs live in the soil all winter and some diseases overwinter in and under your dead fallen tree leaves, so get out there and do a thorough fall cleanup and again in the spring. Don’t leave your dead hosta leaves on the ground. Clean them up and haul all your garden debris away!